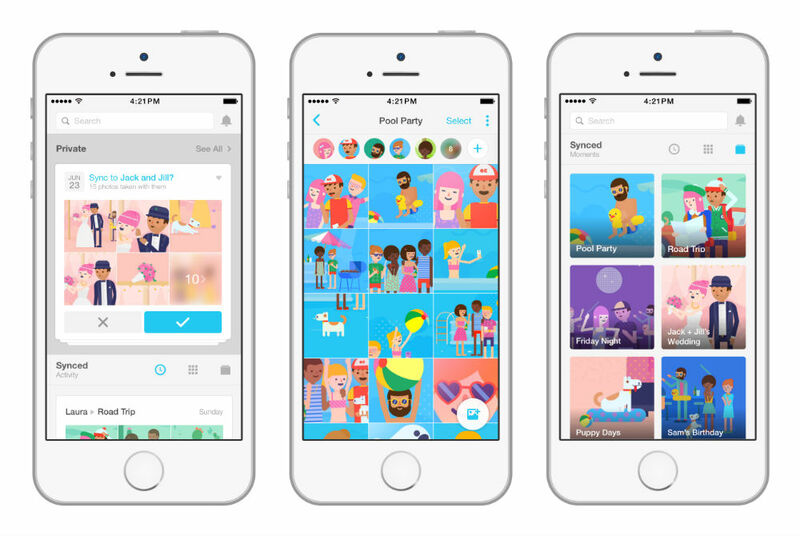 Facebook launched another standalone app this morning, called Moments, which allows private sharing of photos between friends or groups of specific people. This app can be used in a few cases, but most notably, if you and your group of friends do something together, now only the best photographer of the bunch needs to worry about snapping shots. At the end of the day, all you need to do is select which photos to share privately, choose who to share with, then you are done. Another case is weddings. If a group of people are snapping shots, all of the photos can be found in the same exact place, allowing anyone and everyone to grab photos whenever they want. As long as they are shared with you, you have access to them. Inside Moments, Facebook has built a bit of facial recognition technology inside, allowing the app to automatically see which friends are in your photos. From there, you can choose to share your shots or not. The app is entirely standalone from the Facebook app, so if you would like to try it out, go grab it on Google Play. And for any iOS users, it’s available on the App Store, too.